Smartphones have become the center of our lives. It is true that now one cannot stay without his mobile phone even for ten minutes. Although these gadgets have become massively important in our lives, many people don’t know how to take care of such important gadgets. Whilst mobile phone manufacturers manufacture mobile phones keeping the highest level of safety features in mind, still, users find ways to break their smartphones one way or the other. 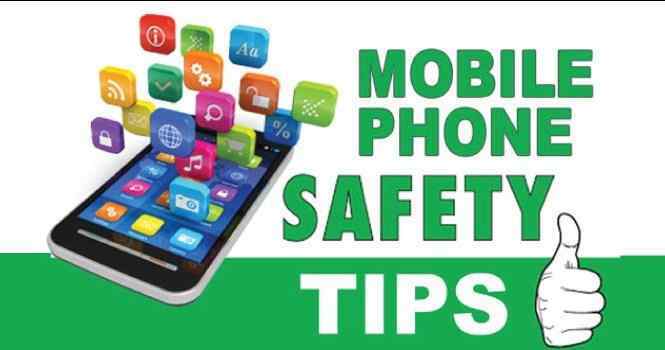 Here we have top 5 mobile phone safety tips for everyone to increase the life of their smartphones. One of the most common problems reported by smartphone users is scratched backs and screen. This is right now the most marketed feature by the smartphone vendors however, there’s no remedy to this problem until now. Smartphone covers and back cases are the perfect safety product to keep the back and LCD of your gadget safe from scratches. Also, stylish mobile covers make your mobile phone even prettier and beautiful. Customized back covers are also available in the market at really cheap prices. Another one of the biggest problem user’s face is low battery life. Also, with the passage of time, the batteries efficiency keeps declining. The main reason for this is overcharging. People always forget to disconnect the charger after it has fully charged. Also, some people charge their phone at night by connecting the charger and then go to sleep. The phone keeps charging the battery whole night, which in result drastically disturbs its life. So mobile phone safety tips number two is to never overcharge your phone. The display of any smartphone is the most promising feature offered by vendors. While we are in the era of Gorilla Glass LCD screens, still there are strong chances of scratches on the screen. Mostly it happens when you keep a smartphone and keys in the same pocket. Don’t keep your smartphone naked in your pockets or else apply glass protector to keep it safe from scratches. Glass protectors also safeguard the LCD from accidental damage in case of falls. One of the mobile phone safety tips that’s mostly ignored by people but is very crucial is not securing the data. To keep your data safe and secure from third party apps, keep minimal and only important applications in your smartphone. If any task with the application is done, then there’s no need to keep it in your phone. Also, don’t give applications every permission, rather check which application has access to your phones media, messages and contacts. Many people make a mistake of using the smartphone with wet or sweaty hands. This is a very dangerous way to use any electronic gadget and least to that mobile phone. Mobile phones are very sensitive and if a single drop of sweat or water can seep through the seals of your mobile phone, you can be in hard water. Therefore, make sure you never use your mobile phone with sweaty or wet hands.